The excitement is real for our next Rockstar Games adventure. 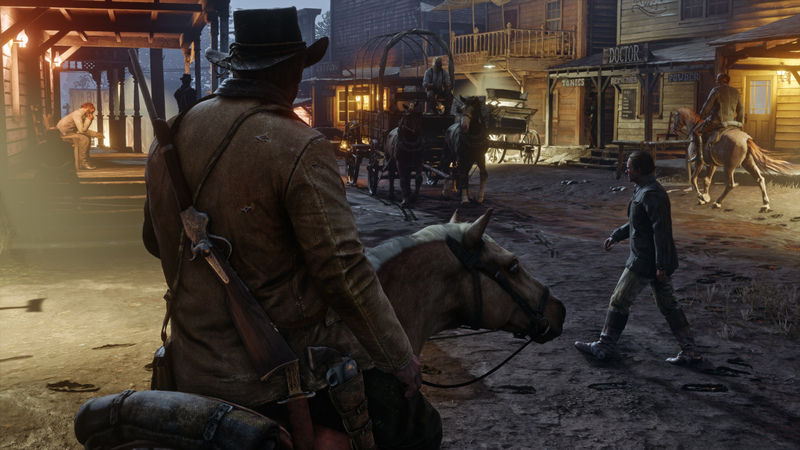 We’ve seen more Red Dead gameplay this week, and it’s really looking impressive. With 22 days left to wait, I’ve watched the videos (A LOT!) 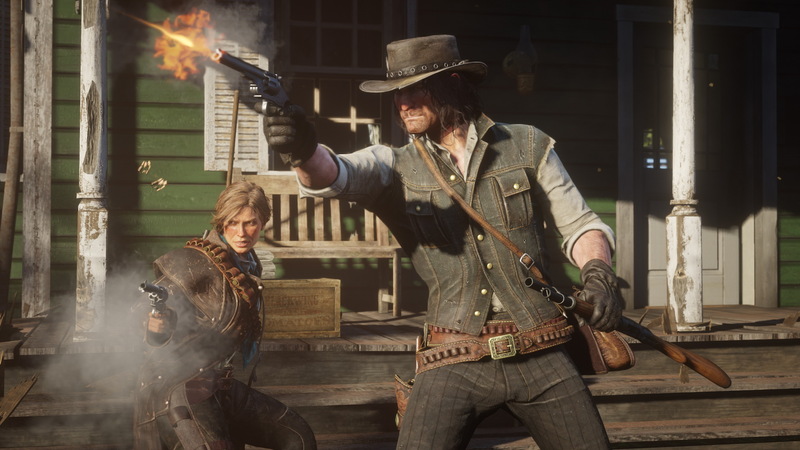 and broke down all the Red Dead Redemption 2 confirmed features coming to PlayStation 4 and Xbox One when the game releases October 26. Down the page (just one page at that) are all kinds of details on the next Red Dead Redemption. Including how actions have consequences, taking on heists and the dangers of this beautiful world. Check it out AND, be prepared for more! 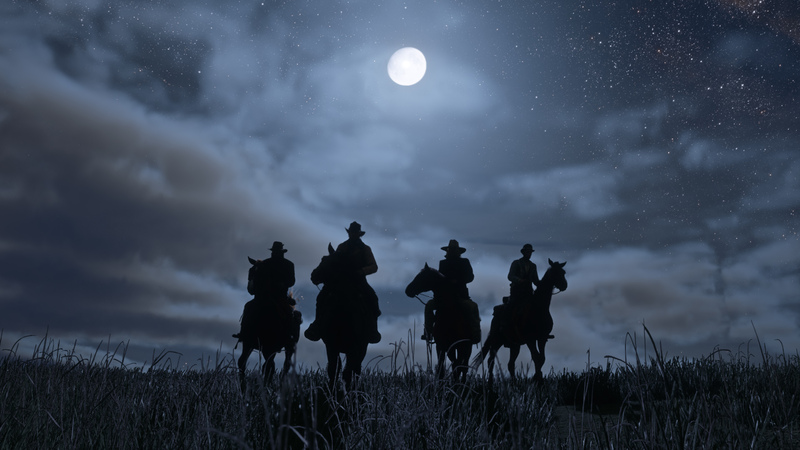 Rockstar are likely to confirm more Red Dead Redemption 2 features before launch. So bookmark this page, because it will be updated. And don’t forget to use the buttons to Share This on your social media with other Red Dead fans. 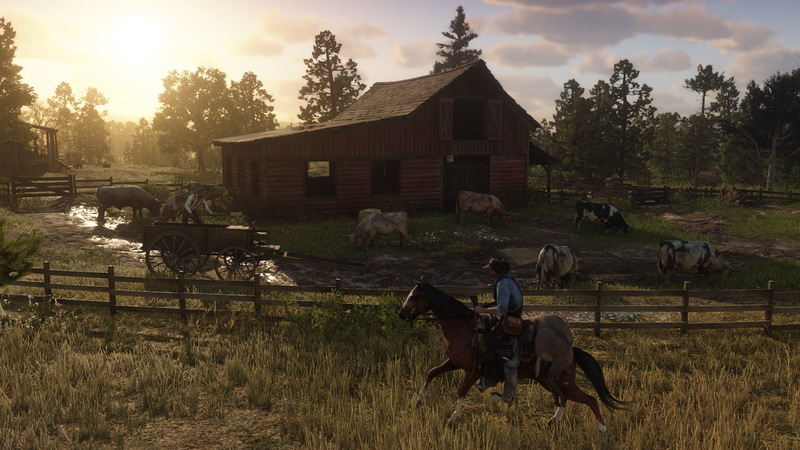 As you will expect from a Rockstar game, Red Dead Redemption 2 is set across a massive open world. Filled with cities, towns, mountains and some, shall we say, interesting characters to meet. You’ll play as Arthur Morgan during the adventure. A senior member of the Van der Linde gang. That’s the basics anyway! Let’s look at the detailed features below. You can also watch the video from our YouTube Channel below if you prefer. What you decide to do in Red Dead Redemption 2 is not isolated one moment to the next. The decisions you make will be remembered in a world that is alive, with NPCs reacting to you in a way reflecting your actions and reputation. In the video, Arthur was confronted by a lady saying he’d killed her cousin. This was in relation to an action you, the player had taken with Arthur in a previous mission. What you do in Red Dead Redemption 2 has consequences, and the people in the world will remember you. Positively or negatively, so be ready if you make a bad call! The trailer does not show exactly how you caused this reaction, or if it could be avoided entirely. But it was certainly interesting to note that what you do, or don’t do, will affect the world and your experience of it. 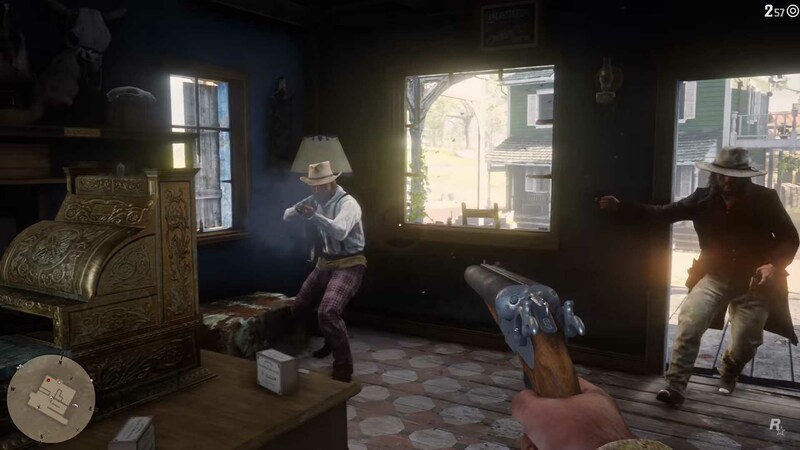 One thing that really stands out as a big Red Dead Redemption 2 feature is the focus on hand-to-hand combat. While there will be a big emphasis on gunplay (more on that next), somehow getting in there with your fists seems much more engaging. 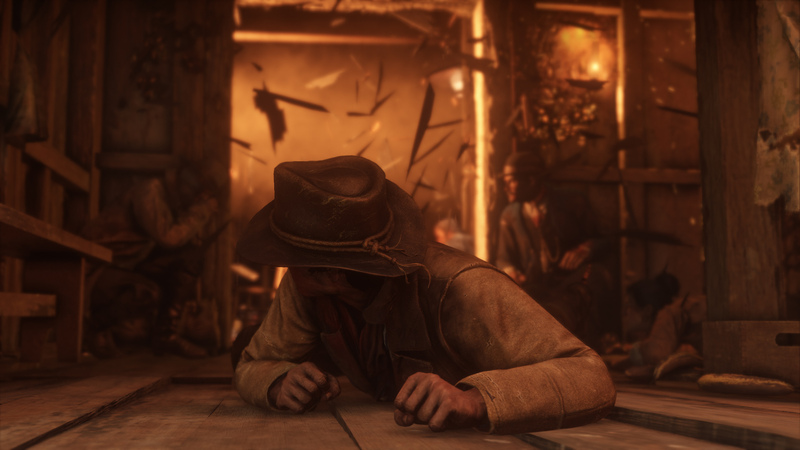 Something about getting into brawls with other gang members, outlaws and even The Law really suits the mood of a cowboy adventure. We’ve seen one-on-one fights with Authur pinned down and fighting off a beating. It’s not just one-on-one either. A few times we saw players taking on a few people at once, fighting to escape holds from behind while hitting out at attackers coming at you from the front. 3. Guns. Lots of guns! If you hadn’t guessed already, Rockstar are making the Red Dead Redemption 2 experience as real as they can. This means accuracy and attention to the detail, especially when it comes to weaponry. Guns in all clips so far really do look impressive, and very detailed. More than just presentation though, they promise that each one is going to be unique. Plus, they will be a true reflection of the weapons of the time. Each one based on a realistic structure. Meaning that firing, reloading and their impact reflects the real weapons. Like I said, attention to detail here is incredible. More on these later in the customisation section further down. Your horse is practically another character in Red Dead Redemption 2. You’ll need to do things with them to keep the bond and relationship strong with your steed. The Trailer showed off some brushing of the animals to keep them happy but there is likely to be other activities too. 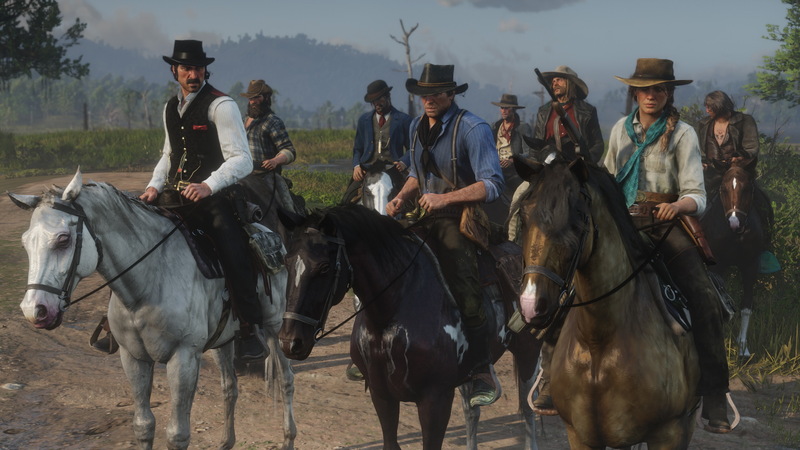 It was also confirmed that you can use different horses for different jobs, rather than just one that suits all actions. There are workhorses for certain tasks, plus more agile steads for running faster in certain situations. How deep this goes is unclear but it’s clear there are a number of options with choosing your horse breed. 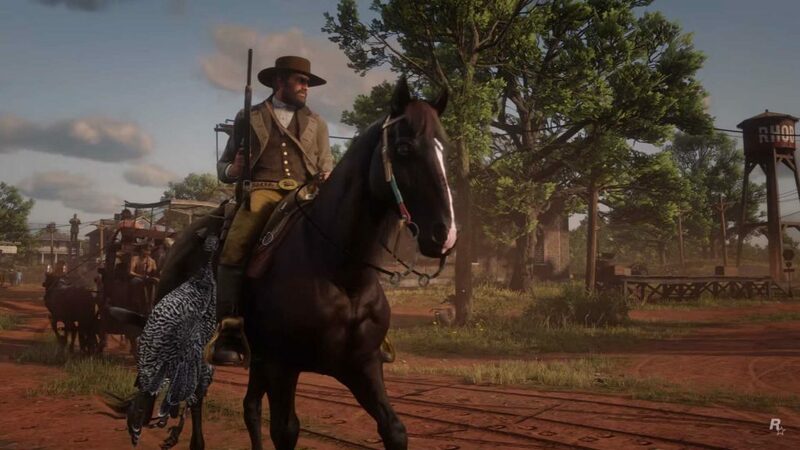 Your horse also acts as mobile storage so you can keep items and weapons attached to the saddle which seems a good idea. Plus it carries pelts and other items you collect hunting. The impact of having a good relationship with the horse makes it easier to control in combat and responds to your commands more. 5. Oh… And Horse Balls confirmed! So… I think this is a feature. Yes, we are going to call it a feature! I have no idea who suggested atomically correct horses, or the concept they would shrink when you go into the cold areas. But it happened and it is in the game. 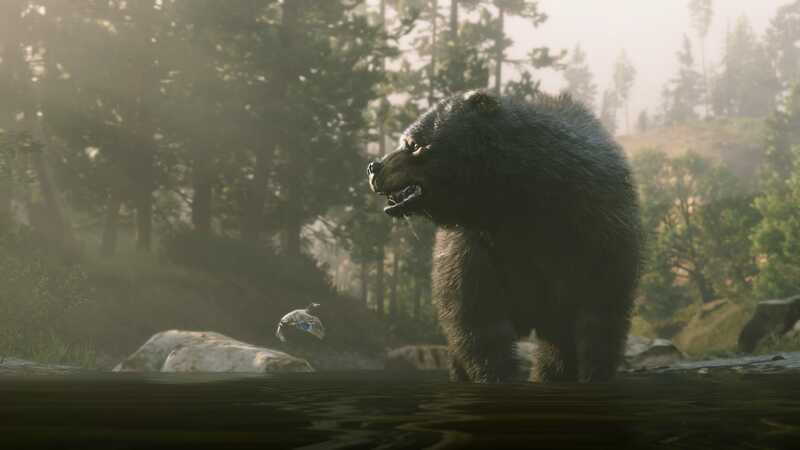 There were some really impressive looking animal wildlife in this Red Dead Redemption 2 trailer. We saw eagles and other predatory birds, crocodiles, bears and wolves. These can be hunted to help the gang camp and make you money… or just get eaten by! It’s not just you that’s hunting after all. The land may be stunning but it’s very dangerous out there, and so are the animals. 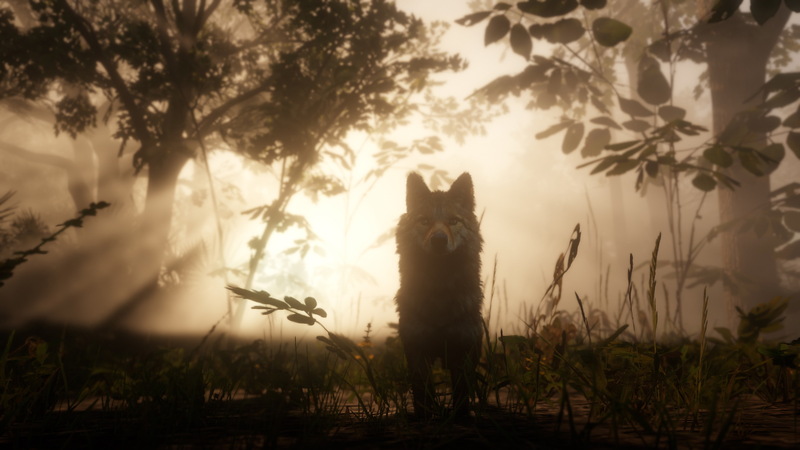 We’ve seen a pack of wolves taking on Arthur and we’ve had it confirmed more wildlife is in the game. Bears, Alligators and more will be out for you in the land. Get them before they get you!. Dead Eye has been updated for Red Dead Redemption 2 and it was looking pretty impressive. You can once again use it to slow down time, but there is more to it than just that. Dead Eye will progress with your character. How this works is not exactly clear but there may be some kind of upgrade path for the mechanic. Considering the focus on choice in the game it may involve you choosing what to improve. There again it may simply upgrade as you progress. While that’s not 100% clear (and I will update this article when it does!) they did show that you’ll use it to focus in on fatal or critical points when aiming at an enemy. Or you can use it mark multiple enemies and execute them. All good fun. Fluidity was on show during all of the trailers and there seem some rather epic, flowing missions to take on. 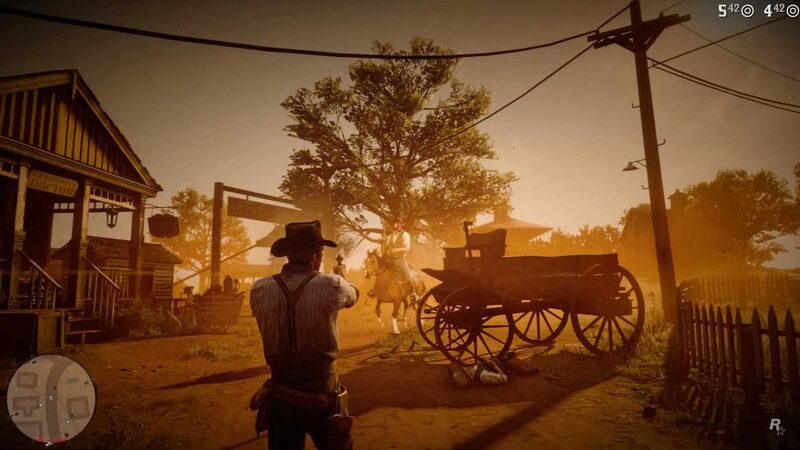 Where traditionally there is someone on the map with an icon to go find them, wherein Red Dead Redemption 2, everything is a bit more alive. The concept seems to be that things are happening in the world and you come across them naturally as you approach an area. This all leads to more natural, fluid feeling rather than a world only doing things when you activate them. There will be story missions that have potentially more set paths, but I think this could be the most fluid, alive way of delivering quests in a game, ever. It’s clear there will be a lot of interaction with your gang members as you travel in a group. It’s got a feeling of RPG style companions to it, as you can speak with them and get to know more. Even reveal things about them and give you missions to take on. Meeting people around the land is also a part of the game since you can talk to other NPC characters in a way you like. You can be rude, friendly or just downright threatening. The world seems really alive in Red Dead Redemption 2 with people responding to you, and your actions towards them. Not to mention the actions you take on their missions and quests. Particularly with the members of your gang and the community around you. 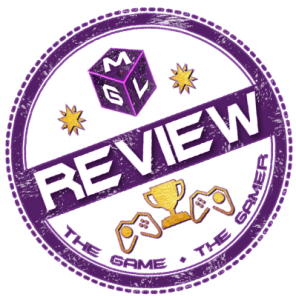 We did all love the GTV(my review) heists, didn’t we? 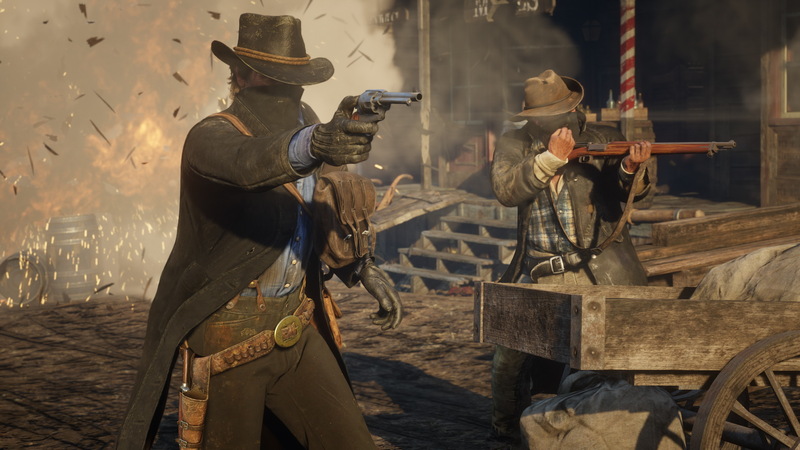 They were so good they had to be in Red Dead Redemption 2, and it’s confirmed you’ll be taking on big scores once again. In the video, we saw the player taking on a bank robbery, rather cliché for a western but certainly one I don’t mind! There was also the hijacking of a train which could also have been an example of a heist mission. While we are not sure exactly which clips are from heists exactly, I do expect there to be a good variety of these in the final game. With Rockstar understandably not revealing too many of them up front. Again, the emphasis on choice and consequence with Red Dead Redemption 2, I also expect there to be decisions to make as to how you carry them out and repercussions after. As an outlaw with dynamic choices, you can be the Arthur you want to be. If you want him to be a downright thief then you seem to be able to do it by holding people up as you fancy it. You can hold up stores, coaches and even go into peoples houses and rob them. A train robbery was also on the list of fun robberies you can do. Remember though, the game is about actions and consequences. There seems to be the choice to go the other way too if you like. You can greet people walking or riding around. You can call out to them as they pass by or talk with people of interest as you go. These potentially leading to missions, activities and potentially a good reputation. But then again… train robberies might be fun! You may be an outlaw and you also have good backup in your gang. But you are not the only group out there taking on heists and taking what you can. Other gangs are a part of the world and potentially a big part of the story. In a scene where challenged by a rival outlaw, Arthur is confronted by a gang member. He’s asked about the score he took from them, replying “which one”. This clearly suggests there is the potential to take other gangs jobs or even take from them directly. Sounds like something that will be a key part of the game to me. What was clear from the videos was being on your own exploring puts you at risk from them. Different gangs including Mexican looking ones and more British inspired groups are on the lookout for you. And things are going to get dangerous if they find you. The law works both ways in Red Dead Redemption 2. Break it and get your name “Wanted” you will be chased until you clear your name. This means the lawmen will be after you but also bounty hunters too. We did see there was a way to charm your way out of certain situations where Arthur talked down a Sherrif in one scene. I also expect a few dollars in the right hands will get you off the hook. But in the other direction you can also take on the role of bounty hunter and there was a hint of L.A. Noire (my review). There was a part where you investigated a crime scene to figure out what had happened, then chase down those responsible. We all know how good Rockstar have been over the years for giving you lots of appearance options. Famous haircuts where you have more hair after than when you went inside. Plus the nice outfits you can put on. 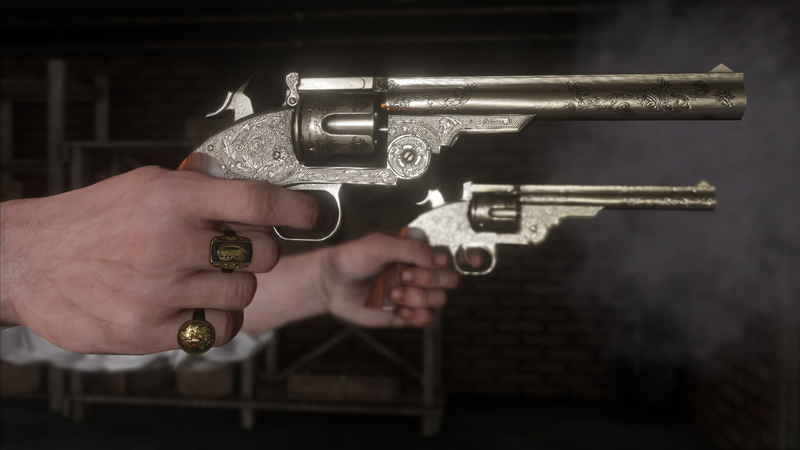 In Red Dead Redemption 2, we have even more to customise. You can do traditional tweaks like customising weapons and picking clothes. But you can also pick your food to eat, what horse you have and it’s appearance. You can even have a shave, take a bath… or decide not to. We all love those distractions in Rockstar games. Those ones that make you realise the sun is now coming up outside at 4AM, and you’ve just been playing poker all night. Not even for real money! 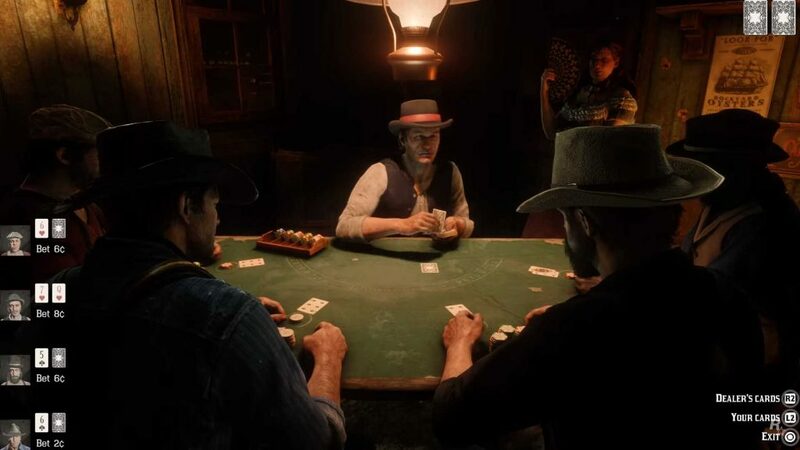 Red Dead Redemption 2 looks to be bringing that back with classic games like cards, drinking and Five Finger Fillet are back. There were some others this time like taking a canoe out for a ride, dancing, going to watch a show and even farming. Distractions will be aplenty here, be ready with excuses for being so tired afer two hours sleep! While not everyone is a fan of playing games like this in first person mode, including me, I do think it’s great to make that an option for those that do. So, Rockstar has taken the popular choice to make GTAV have a first-person mode and put this into Red Dead Redemption 2 from launch. Don’t let CD Projekt Red fans know about this though, they’ll want vice-versa in Cyberpunk 2077! What I do love is Photomode as we’ve seen in Spider-Man(my review) recently. 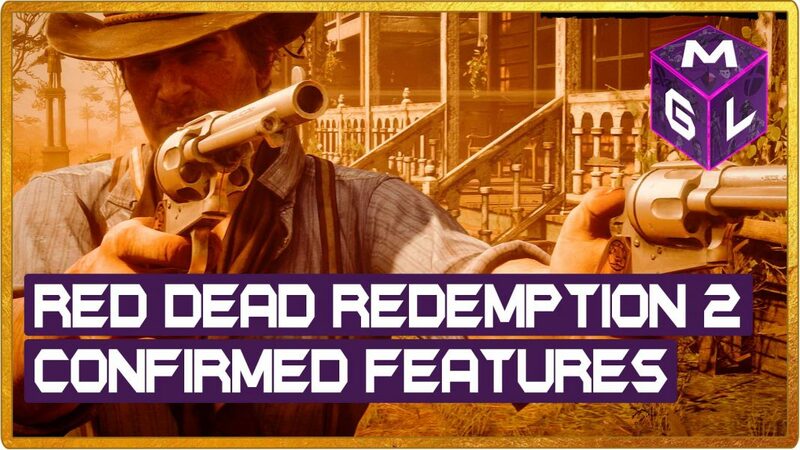 Thanks to a Gamespot impressions piece, we know it’s coming to Red Dead Redemption 2! Once you get the selfie camera you are free to use it whenever you like. Awesome. 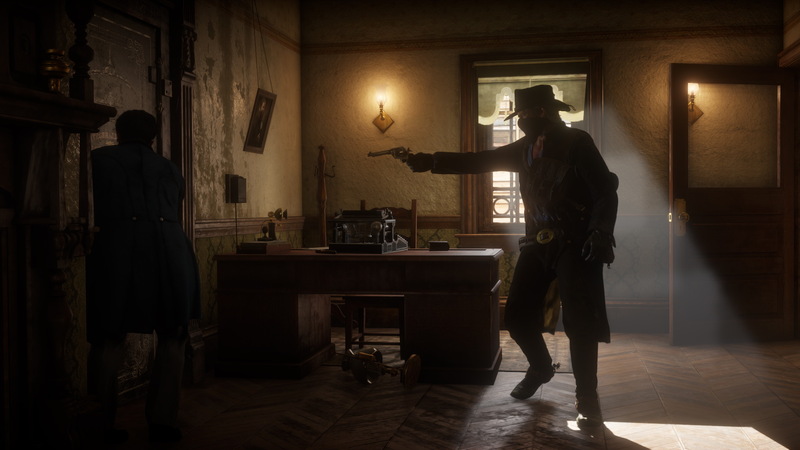 Rockstar has also confirmed a cinematic camera mode to see the game with a lack of HUD and taking in some beautiful scenery. Now, since you are awesome and have made it to the end of the list, be a legend and Share This using the social media buttons below. Remember, this list will update when more Red Dead Redemption 2 confirmed features are announced. So bookmark it while you are here. Also, let me know if you’ll be picking Red Dead Redemption 2 on October the 26th. Drop a comment below and say which feature you are looking forward to most.